Throwing open the curtains with the smug certainty of clear blue skies and bright sunshine is one of the joys of owning a home on the Mediterranean. But that doesn 't seem to be a priority for the growing band of British buyers who have bought cave houses in the remote Andalucian town of Galera, 90 miles east of Granada. With bedrooms buried deep into the rock, there is no chance of natural light but it is amazing what you can do with a cave these days: such as installing broadband internet, satellite TV and central heating. Some caves are two or three storeys high, others have swimming pools and, for owners who miss the sunlight, large front extensions offer floor-to-ceiling windows. Cave homes are the norm in the tiny southern Spanish town of Galera, which claims to be the oldest town in Europe. 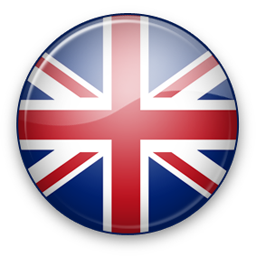 About 40 per cent of the 2,000 strong population live in caves - among them 150 Britons. And such living habits are catching on, with the towns of Huescar and Orce nearby also attracting prospective troglodytes. In the late Sixties, local hemp production fell into decline and farm-workers abandoned their caves for cities such as Barcelona and Madrid. Now Spaniards are starting to realise the benefits of this energy-efficient way of living and are swapping their traditional houses for caves, according to Les Edwards, who runs Spanish Inland Properties in Galera. "Summers here are baking and winter temperatures can drop to minus eight, so the costs of keeping ordinary houses hot and cool enough are high. A cave retains a constant temperature of 18 degrees" says Edwards, 62, a former mining engineer who has continued his taste for subterranean life by moving to a cave in Galera with his wife Sharon, 57. Caves are one of the most eco-friendly types of housing, requiring minimal building or materials and with natural heating and cooling. Edwards has taken the idea a step further by designing the first eco-caves in Spain, made from hemp bricks. With a Spanish business partner, Edwards has bought 120 acres in Galera where they will build 50 caves, along with a hotel and golf course fed by natural springs. Naturally grown hemp is highly insulating and energy-efficient, as well as insect and rot-resistant. It requires less energy to produce, reducing the carbon footprint during construction. Tiles, from Granada, are clay-based needing less fuel to produce than ceramic tiles, and windows and doors are double-glazed and sealed. "We will keep costs as close to those of a conventional property, with only methods of construction that use local skills, and, as far as possible, materials that are locally available" Edwards says. The only snag is the hemp. No longer grown in Spain, it has to be imported from France before being turned into bricks in Galera. "That 's the biggest expense, as hemp bricks cost five times more than normal bricks, but their insulation is perfect for this Andalucian climate" says Edwards. 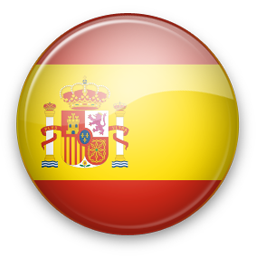 Conventional two and three bedroom caves, with flourishes such as Moorish tiling, curved white walls and spacious beamed kitchens, cost from �£75,000 through Spanish Inland Properties. From excavation the process takes about three months and the eco-caves will be built to clients ' specifications. Two bedroom caves start at �£75,000, rising to �£125,000 for a three bedroom cave, depending on the number of rooms added to the front. Fresh air from the outside is filtered into bedrooms and living rooms and extracted from "dirty" rooms such as kitchens and bathrooms. "The outgoing and incoming air passes through a special heat exchanger, so that in winter the out-going air heats the incoming air, reducing the amount of heating you need" says Edwards. "In summer, the outgoing air cools the incoming air, so no air-conditioning is needed." The ventilation system costs about �£1,400, the same as the Norwegian log burners that heat conventional caves. Annual heating costs, for full-time residents, could be as low as �£200 - 60 per cent lower than the heating costs in an ordinary cave house. "People like rooms built on the front of the cave because you can have large windows and high ceilings but that's where you lose most heat", says Edwards. "We will install chimneys in the eco-caves in case people want to add a log burner, but you probably won´t need additional heating." Where possible, the caves are powered by the national grid but remove caves depend on solar panels, which cost about �£17,000 to generate electricity and heat water. "You can get local government grants covering 30 to 40 per cent of the costs as the region is encouraging the use of renewable energy sources", says Edwards. Given rural Spain 's dubious track record on land titles, you might think cave houses would merit a wide berth, but all the caves that Spanish Inland Properties sell are listed with the land registry. "They all have title deeds, like normal properties, and if the cave has been registered for two years, you can get a mortgage on it" says Edwards. "Planning restrictions about external build are fairly tight, and the number of rooms in the existing cave is registered on the deeds, but you can extend rooms slightly." Sally Crane, 33, was an instant convert to cave-dwelling, having left her job as a legal secretary in Chelmsford, Essex, and moved with her 37 year old boyfriend Sean Lummis, a shipping agent to a derelict cave in Huescar. They bought the cave for �£46,000 and spent a further �£20,000 over seven months restoring it, adding light pods and glass bricks for the windowless back bedrooms. "I 'd always dreamed of moving to Spain and was intrigued by the idea of living in a cave, so I stayed in one on holiday and loved it"says Sally, now a beauty therapist in Galera. 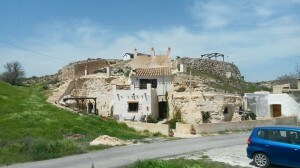 The couple have since sold the cave for �£76,000 and bought a five bedroom, four bathroom converted cave for �£89,000 in nearby Fuente Nueva. "We wanted to live in a more remote spot surrounded by mountains" says Sally. 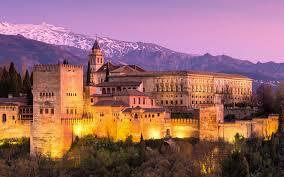 "If we want a change of scenery we go to Granada or to the coast. But we love the laid-back atmosphere, and cave life suits us." 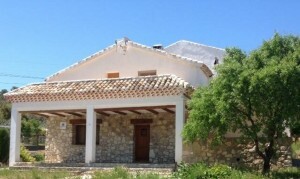 A lovingly restored cave house with three or four bedr..."